I touched down in Melbourne just at the mid-point of Winter. Though perhaps not the best made plan weather-wise, I’ve actually been pleasantly surprised. Melbournians are, needless to say, rather ready for longer stretches of warmer, sunnier days, but I’ve been luxuriating in the crisp air and cool breezes that quite remind me of October back home (New England, USA). Anyway, with the last of the jet lag wearing off, the hunt for local food markets and yoga studios has begun. I’ve already found a studio I adore and just down the street (conveniently on my walk home) stands Melbourne’s oldest fresh market. 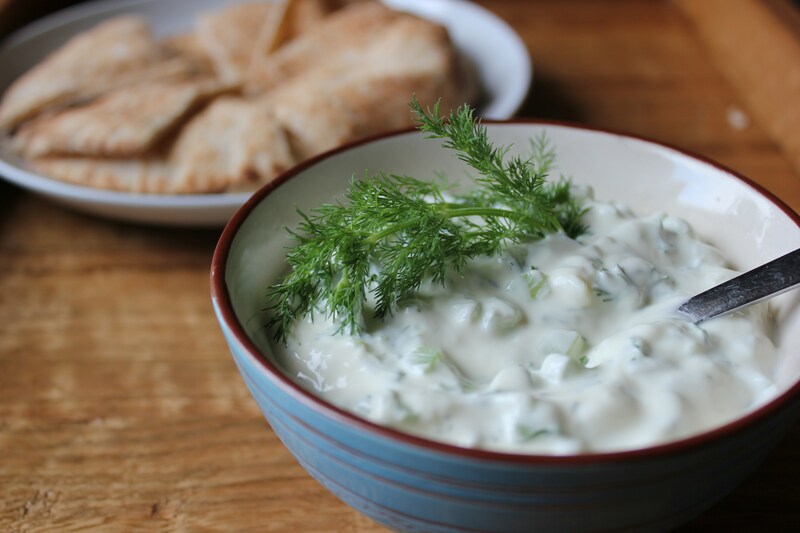 What a breeze tzatziki sauce is. And, honestly, I would have thought you would need a food processor, but it’s completely possibly (and easy) without. My one word of advice is double the recipe if you plan to have people over to enjoy it with you (also advisable) because it will easily be eaten up in record time. 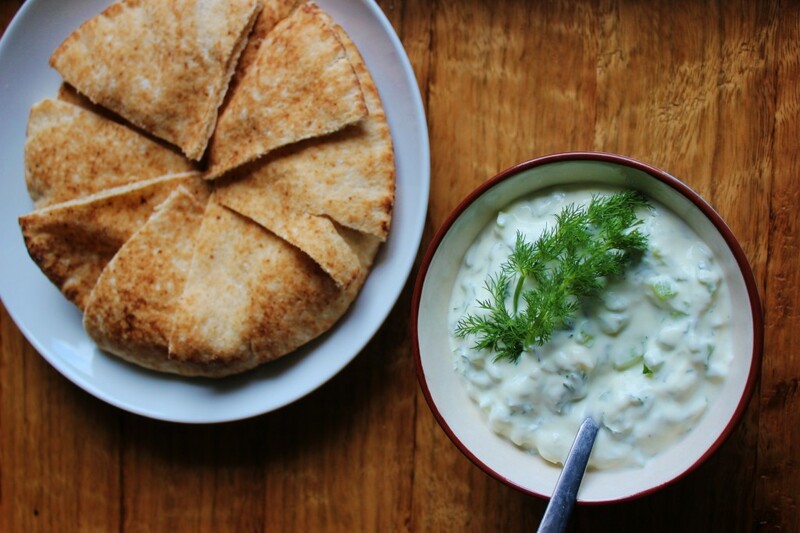 Plus, it tastes even better the next day and can be enjoyed as a spread on a pita sandwich or used as a dressing for a chopped salad. Using a teaspoon scoop out the seeds from the cucumber and discard. 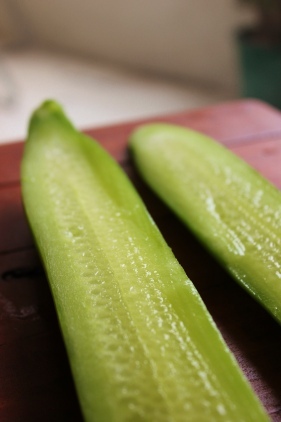 Dice the cucumber, sprinkle with salt, and hang it in a thin dish towel or muslin cloth to release the liquid, roughly 20 mins. 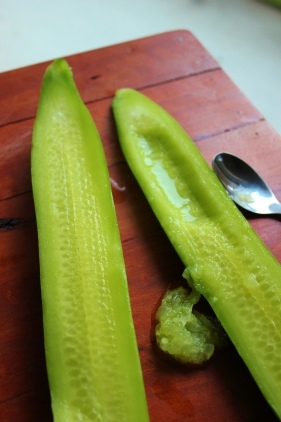 Squeeze the dish towel to further expel the water and then, in a large bowl, mix the cucumber with the remaining ingredients. Salt to taste. Not recommended except in moderation and when consumed in the mid-day when the digestive fire is the highest. 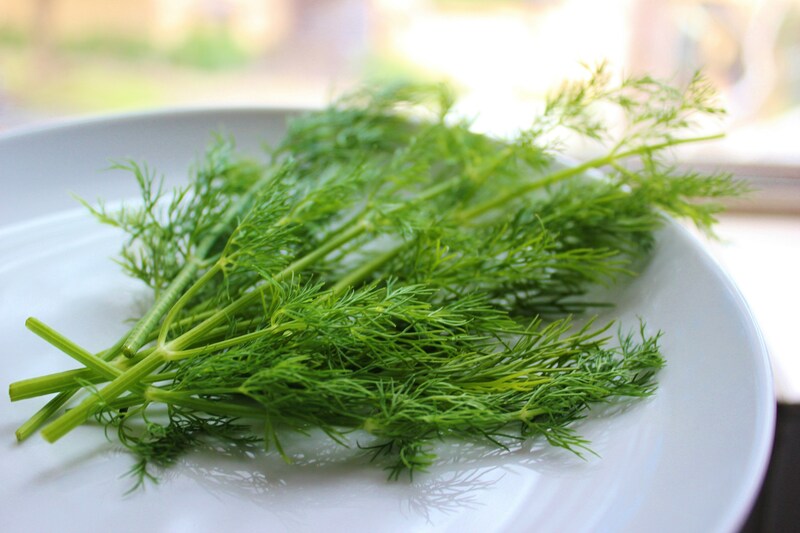 Substitute mint for the dill, use less salt and only 1 garlic clove. 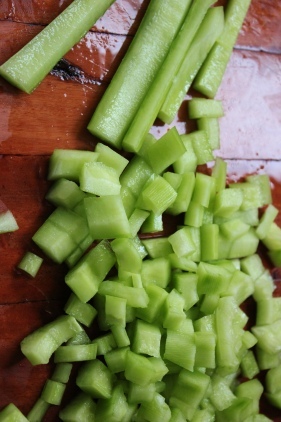 Not recommended for due the damp and heavy qualities of the cucumber, yogurt, and salt.